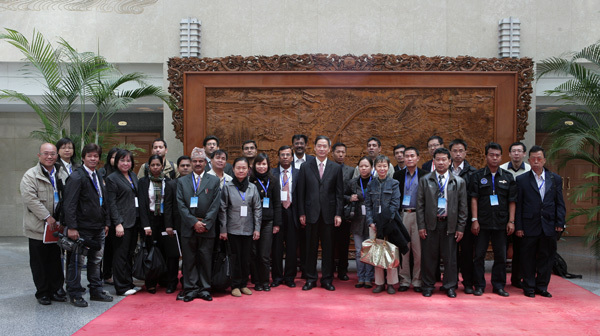 On April 28, 2010, Vice Foreign Minister Zhang Zhijun met with the joint press delegation composed of more than 20 journalists from the mainstream media of 15 Southeast and South Asian countries including Indonesia, Thailand, India and Pakistan. Zhang extended welcome to the delegation which will cover the Shanghai World Expo and expressed hope that the journalists will make best use of the opportunity to convey what they see and hear to the Southeast and South Asian people and play a positive role in increasing the mutual understanding and friendship and promoting the friendly cooperation between China and Southeast and South Asia. At request, he answered questions on China’s relations with Southeast and South Asia and bilateral economic and trade cooperation. 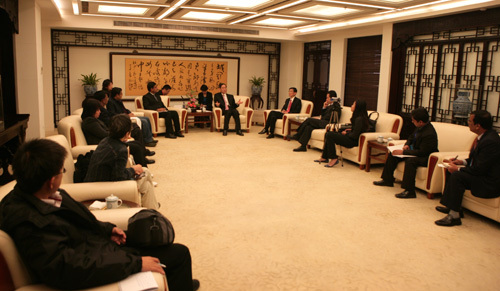 The delegation is invited by the Shanghai World Expo news center. In addition to Beijing, it will go to Shanghai to cover the World Expo and visit Jiangsu province.